Just 8 days after Venus retrograded back out of your work sector Mercury returns to take her place, this time staying on to finish what she started. With Jupiter now just 2 days away but in the meantime spending his last weekend in a fun, playful, romantic and creatively charged part of your chart, there is a need to have your work hat on, but also to appreciate a need to find a balance between work and play. Welcome to what is set to be your biggest challenge over the coming weeks, with huge opportunities on both fronts. 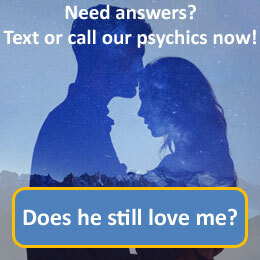 Call 09069 669 601 for a more detailed reading with our psychics today. Aries, the ram, is the first astrological sign in the Zodiac which originates from the constellation of Aries. In astrology, Aries is considered a "masculine", positive (extrovert) sign. It is also considered a fire sign, and is one of four cardinal signs. Aries is ruled by the planet Mars. Aries are believed to have a strong, athletic, well-proportioned body. They also can have an elongated face with a well-rounded and broad forehead. Males will possess a dominant Adam's apple. Both will have strong eyebrows that knit together as well as clear and penetrating eyes. Aries can be self confident, courageous, impulsive and natural leaders. They can show traits of irritability, forcefulness and be very opinionated.